For event organizers, recent events in Darwin have seen record numbers of attendance. Several events hosted at the Darwin Convention Centre in 2018 achieved their highest delegate numbers, seeing people from all over Australia and internationally meet in Darwin to explore the Top End. The Property Council of Australia held its annual conference in Darwin from September 12-14,2018. The two-day event brought together property industry leaders to network and tackle the issues driving property development, investment and growth in Australia and around the world. The Darwin event attracted a record-breaking 760 delegates. The 2018 event surprised organizers when it broke the 2017 attendance record. Delegates came from all over Australia, and some 20 percent brought partners. The annual Rural Medicine Australia (RMA) Conference was held in Darwin from 24 to 27 October 2018. RMA is the peak national event for rural and remote doctors in Australia and internationally. The event aims for 450 conference delegates each year. Michelle said the common misconceptions about distance and cost for a Darwin business event were a non-issue. “We definitely thought about that: Darwin was one of those places we weren’t sure if everyone was going to make the trip,” she said. The 46th biennial Ports Australia Conference was recently held at the Darwin Convention Centre and also achieved high attendance numbers. ‘Delegates came from every state in Australia. We hadn’t done an event in Darwin for a while and we didn’t know what to expect— but we far exceeded our target’ said the conference organizer, Cameron Armstrong of Essential Experiences. Also, more than 410 delegates converged on Darwin for one of Australia’s leading inbound tourism conferences, the 2018 Australian Tourism Export Council (ATEC) Meeting Place. The event provided inbound tour operators the opportunity to experience the Top End and enjoy some amazing pre- and post-conference experiences. Highlights of the conference included familiarization programs for buyers to Darwin and surrounds, Kakadu National Park, Arnhem Land, Mary River and the Katherine region. “In 2016 we made the decision to move Meeting Place out of its Sydney base, a location where it had been held for 40 years and we can definitely say the move has proved to be highly successful,” said ATEC Managing Director Peter Shelley said. In addition to organizations reaching record numbers, conference organizers are finding Darwin provides the perfect destination for delegates to connect and knowledge share. Ports Australia’s Communication Director Mike Fairburn said Darwin’s unique atmosphere and welcoming personality was one the highlights and allowed the delegates to network. “The atmosphere in Darwin relaxed people, and they were able to socialize,” he said. “I think there were a lot of new relationships and networks built out of the Darwin conference, which is one of the main reasons we do the event in the first place. Fairbairn credits the event’s success to the Darwin Convention Centre itself. “I think the success came down to the vibe the center set—how it allowed delegates to interact with each other and build relationships,” he said. “In a lot of conferences, it’s quite hard and fast. There might be a networking event on the first day and people may or may not come, and then it’s a bit disjointed for the next few days and you might not see the same person again. “But in Darwin, it was the perfect-sized venue, people bumped into each other again and again, and there wasn’t a lot of distractions, which meant people built those relationships and went away with something more meaningful than a business card. “RMA also found the destination encouraged delegates to connect. “When we’ve run the event in hotels, you can be a bit segregated and your trade area limited to a foyer space or smaller ballroom somewhere. “Or in a big city, you start to lose delegates who want to go off to a restaurant on the other side of the city. “Having everything in one location in Darwin this year just made RMA that little bit more special,” said Cuzens. The Property Congress event organizers said the destination offered the added bonus of a holiday vibe, which the delegates loved. They said the majority of delegates had never been to Darwin before and were very impressed with what they’d experienced. ‘Darwin’s relaxed and friendly atmosphere gave our conference a laid-back feel’, said the organizers. The organizer also received excellent feedback from delegates. 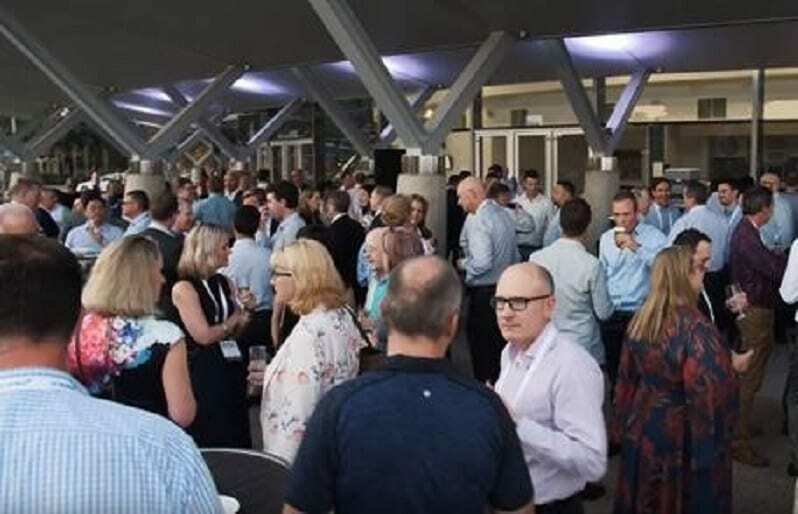 “The Property Congress in Darwin was a great networking opportunity and a fantastic way to discuss the topical issues affecting our industry,” one delegate said. “There were plenty of networking opportunities, and the events were fun and well run. Also the weather could not be better!” said another.